The value of this prize is between $100k – $150k and all you need to do is enter a simple 1 to 3 minute video (phone videos encouraged)! Knowing what your organization’s mobile app should be and do is not a requirement to win. We want to hear your organization’s mission, plans, ideas and goals and then we will select a winner! Only official registered nonprofits can enter and must provide proof of nonprofit status if chosen as the winner. Entering the contest also means that you are willing to have your organization and the final app promoted via public relations, social media and marketing tactics. Thank you NS804 and Commonwealth PR for this amazing opportunity for local nonprofits to make an impact through technology! 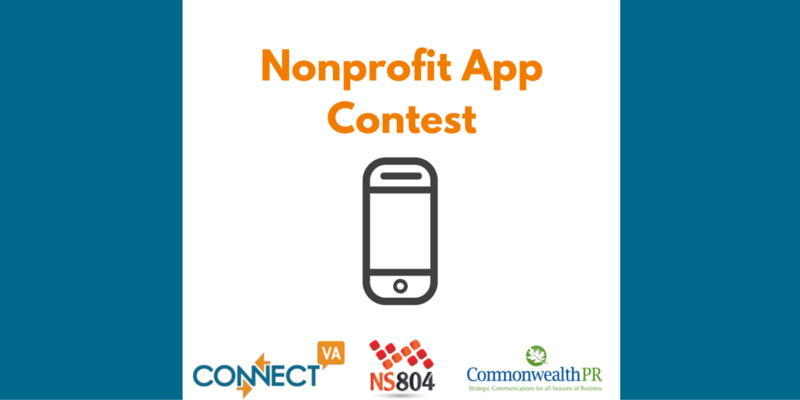 Want ideas and inspiration on types of mobile apps nonprofits have developed? Read our Tech Roundup: 10 Nonprofit Mobile Apps to Get Inspired By!